Tech21 Boost R.V.B. 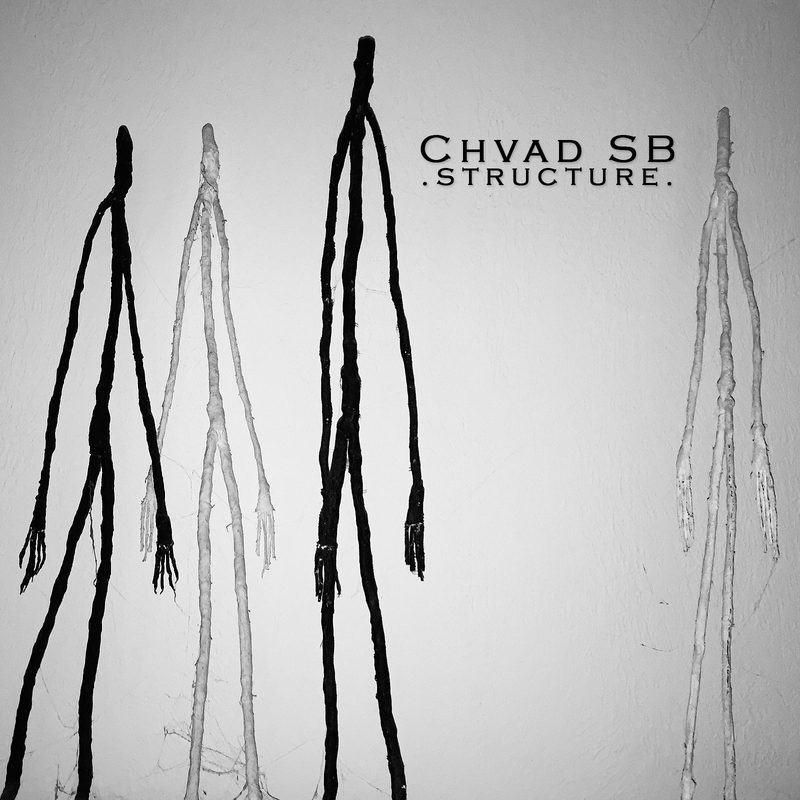 - .chvad. Reverb is a tough little monster to get “right” and we all know that “right” is subjective. There are reverbs that are space accurate and then reverbs that “just sound good.” The Tech21 Boost R.V.B. isn’t a reverb pedal that is seeking out to model “exact spaces” but it is a reverb that, in a very big way, sounds amazing. The Boost R.V.B. features 6 knobs for controlling tone, two ¼” instrument jacks for input and output, a switch for turning the pedal on and off and an input for a DC power supply, and like most pedals, it can also be powered with the standard 9-volt battery. The switch is a buffered bypass switch that is easy to open and close and doesn’t create any kind of “pop” or “click” when engaging the signal. 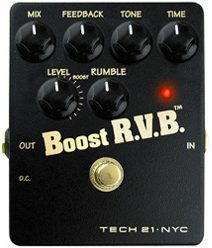 Although not a “true bypass” pedal the Boost R.V.B. doesn’t mute or adversely affect the guitar tone in any perceptible way (Tech 21 supplies an interesting document on pedal bypass types HERE). The knob controls are all pretty standard for a reverb pedal like this, with flexible mix and EQ settings, but it’s worth making special mention of two of the knobs. 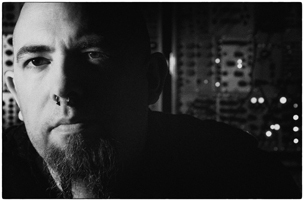 One of them, “Feedback,” creates an internal feedback loop of the reverberated signal, and opens up tons of interesting effects. If pushed too far you can actually create a monstrous feedback signal that quickly spirals out of control. It’s an awesome feature that allows for some pretty imaginative applications and I like the fact that Tech21 didn’t limit the amount of feedback that could be applied, instead leaving that choice up to the consumer. It is an interesting option both for those seeking more tame and musical applications and for those with more experimental purposes in mind. The other control worthy of special mention is the “Level” knob, which is responsible for the “Boost” in the pedal’s name. The knob adjusts the overall volume of the pedal’s output, allowing you to cut through a mix for big solos, if you’re interested in using the pedal for that. Personally, I just keep the in/out level at unity but this extra flexibility may be helpful for some players. Despite the fact that this is a mono pedal, it excels and creating the illusion of space. A lot of reverbs sound like a muted decaying white noise carrying a hint of tone… they’re cloudy, muddy and in general sound very poor to me. The Boost R.V.B. doesn’t suffer from these shortcomings. I tested several pedals in the sub-$200.00 price range for my purchase and the Tech21 Boost R.V.B., a solidly built pedal meant to last, was by far the most pleasing to my ears.